Saturday, April 27, 2019 | 9 a.m.
We are excited to celebrate 21 years running in 2019! 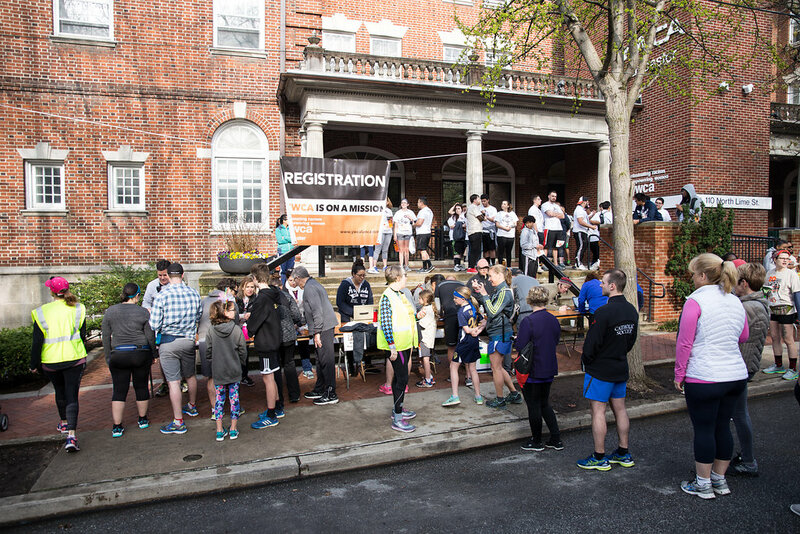 This annual 5k run/walk through historic Lancaster is the longest consecutive-running Race Against Racism in the United States, is a staple of our community and is a family-friendly way to take a stand against racism. Registration is only available on site at 110 N. Lime Street, Lancaster. Mark your calendars! 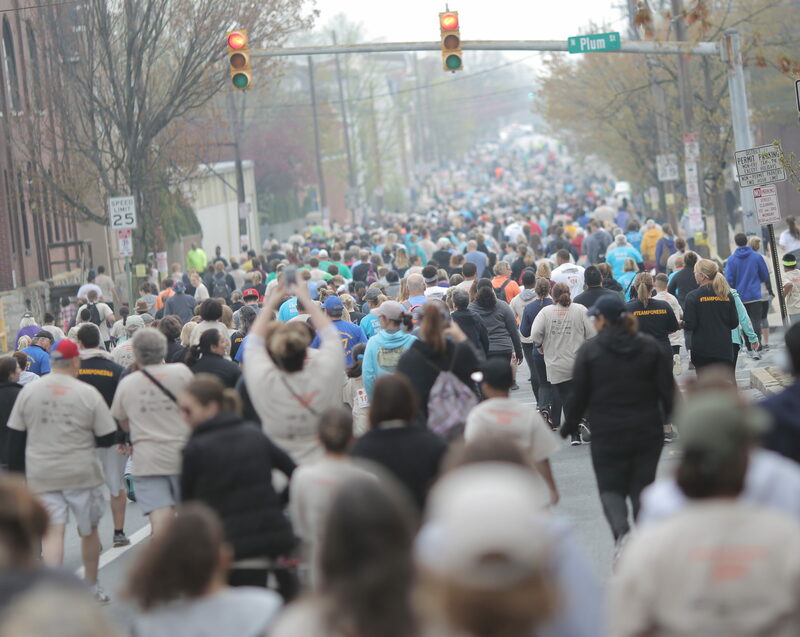 YWCA Lancaster’s Race Against Racism is Saturday, April 27, 2019. Held rain or shine. 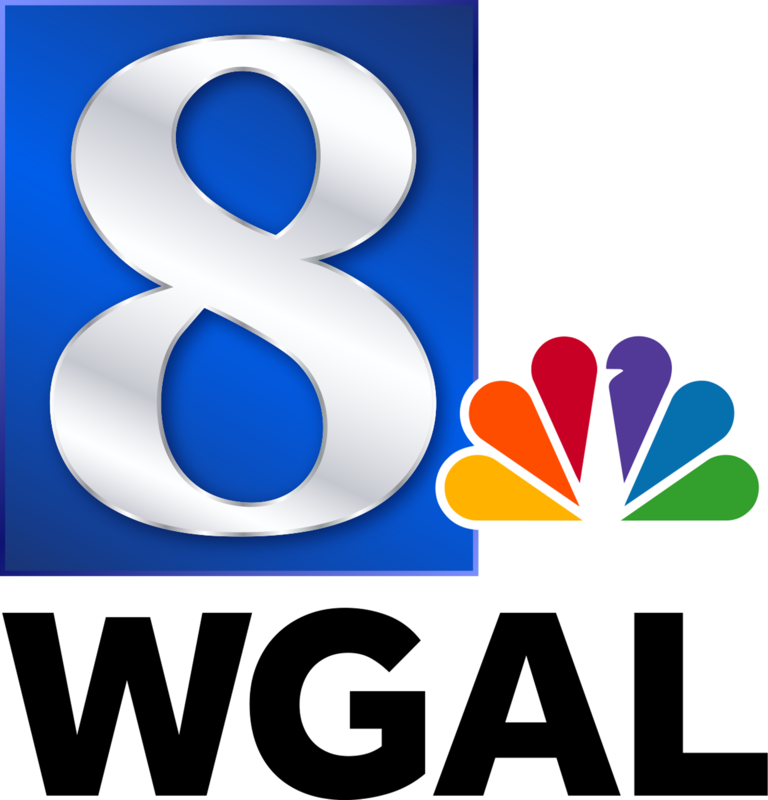 The 5K run/walk kicks off at 9 a.m. and starts and ends at Musser Park, located at East Chestnut and North Lime streets in downtown Lancaster. Day-of registration and packet pick-up open at 7 a.m. 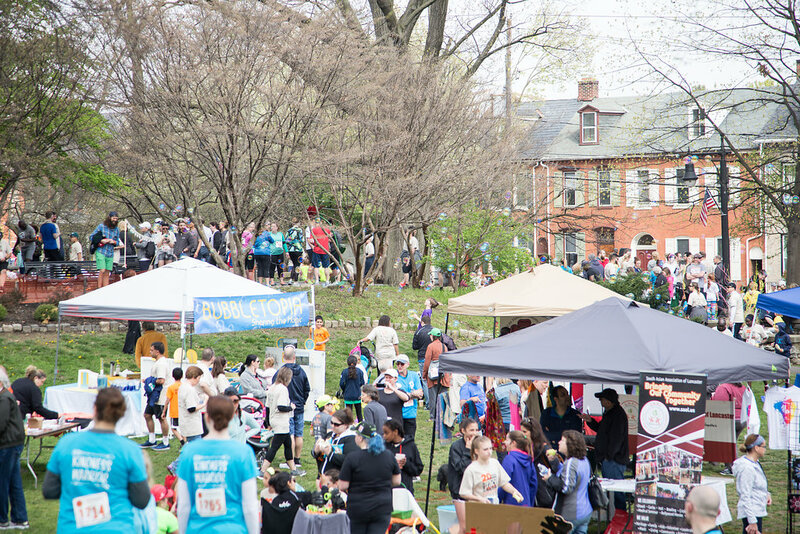 In addition, Humanity Fest runs in conjunction with the Race Against Racism from 7 – 11:30 a.m. in Musser Park. Explore the cultural diversity of our community through food and locally handmade crafts. Multiple food trucks will be on site. Packet pickup takes place at YWCA Lancaster during the following dates and times. We cannot make exceptions because of the volume of participating teams and individuals racers. Wednesday, April 24, 2019, from 3–7 p.m.
Thursday, April 25, from 4–7 p.m.
Friday, April 26, from 10 a.m.–7 p.m.
Race Day, April 27, from 7–8:30 a.m.
We’re at a crucial point as a nation, and we believe that fighting racism is more important than ever. It starts with recognizing our country’s long history with racism and its impact on our systems, structures, and institutions. If we want a just, peaceful society, it is our mutual responsibility to address racism. 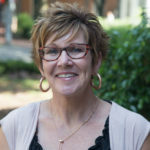 The Race Against Racism funds YWCA Lancaster’s Social Justice and Advocacy programs, and supports those who seek peace, justice, freedom and dignity for all. Online Registration for Team Captains and individuals is closed. Thursday, April 25: 4 – 7 p.m.
Friday, April 26: 10 a.m. – 7 p.m.
$30 – Adult/Team Registration through April 8, 2019. $35 – Adult Registration, April 9 through April 26, 2019. $40 – Adult Registration, Race Day, April 27, 2019. $12 – Child Registration (14 years or younger), through April 26. 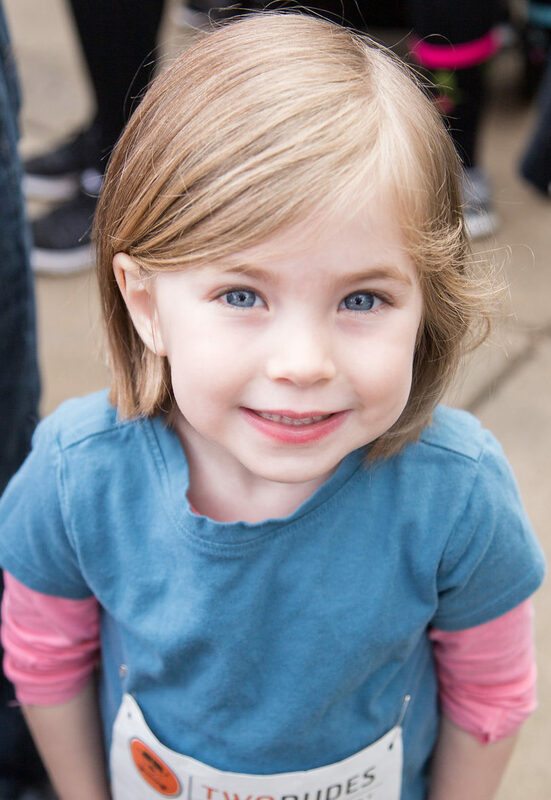 $15 – Child Registration (14 years or younger), Race Day, April 27, 2019. $5 – Kids Fun Run, now through Race Day. Scholarships are available for children. To learn more, call 717.393.1735 and ask for the Race Against Racism Coordinator. Registration includes a t-shirt and a reusable Race Against Racism water bottle, while supplies last. 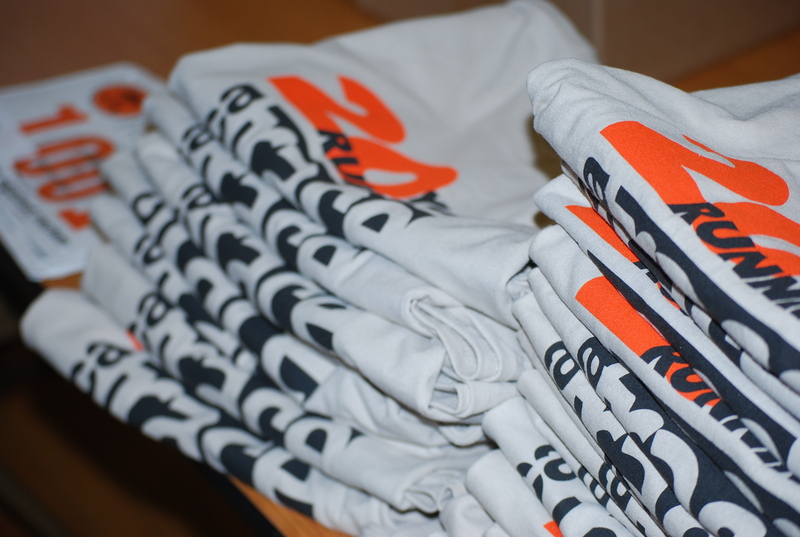 T-shirts are printed by our amazing partner Brenneman Printing. Participating as a team is a great way to promote health and fitness… and introduce a little bit of competition among your employees, friends, and family. 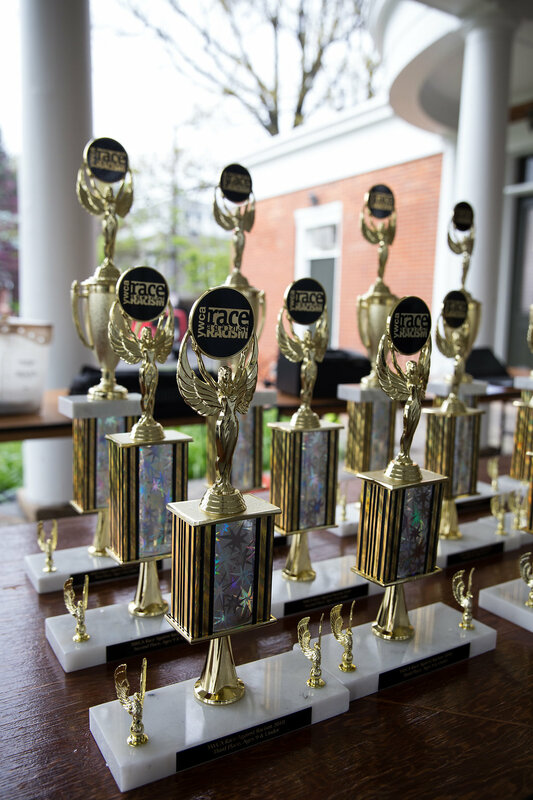 Awards are given to the largest teams in these categories: Place of Worship, Large Business, Small Business, School Team, and Largest Overall Team. Team registration is online only and all teams must be created by April 12. No exceptions! Team members can be added to an existing team up until April 21 at 11:59 p.m.
Online registration closes on April 24 at 11:59 p.m.
Onsite registration goes from April 25 through race day, at our office at 110 North Lime Street, Lancaster. During registration, you will be able to select “join existing team.” After April 21, individuals can walk or run with teams on Race Day but will not be a part of an official team roster or counted toward team awards. They must register as individuals and pick up their packets on individual packet pick-up dates on Thursday, Friday, or Saturday morning. We could not put on the Race Against Racism without our amazing community partners! Thank you for taking a stand against racism and investing in your local community. 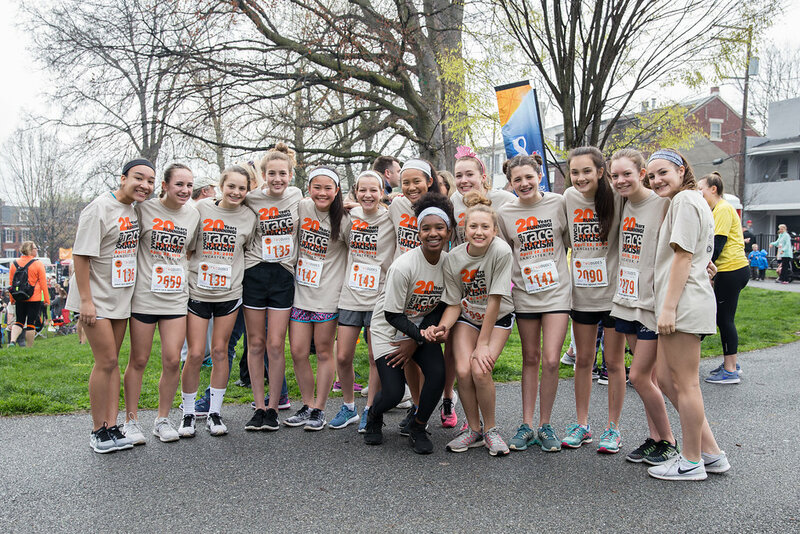 To find out more about becoming a sponsor partner for the 2019 Race Against Racism and other YWCA Lancaster events, download a Partnership Packet. The Kids’ Fun Run is a dash for kids through age 12 and starts immediately after the 5K race, at approximately 10:30 a.m. Kids and their guardians should gather at the Start/Finish Arch. The course is lined with responsible volunteers who will help kids stay on course and aid children in case of any accidents or other problems. All kids will receive a participation ribbon. Humanity Fest is a multicultural festival held in Musser Park on Race Day and is open to the public from 7–11:30 a.m. It explores the cultural diversity of our community through food and locally handmade crafts. 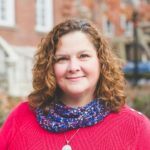 Make sure to also visit the booths of other organizations and non-profits who are focused on equality and justice in Lancaster County. Food trucks and stands will be set up throughout the park before, during and after the race so don’t forget to bring cash to enjoy delicious treats and purchase a unique item! Want to be part of an important, long-standing and FUN event? If you aren’t a runner, but still want to support the Race Against Racism, there are many volunteer opportunities available. We couldn’t hold this event without our dedicated, hard-working volunteers to fill so many key roles! Volunteer opportunities are available starting on Monday, April 22, and running through Race Day. These include organizing runner materials, labeling racer bibs, helping at packet pickup, facilitating registration, and much more! It takes an army to put on the Race Against Racism, so we greatly appreciate your willingness to volunteer for this event. If you are interested in volunteering for the event, then we want to hear from you! Information is here. 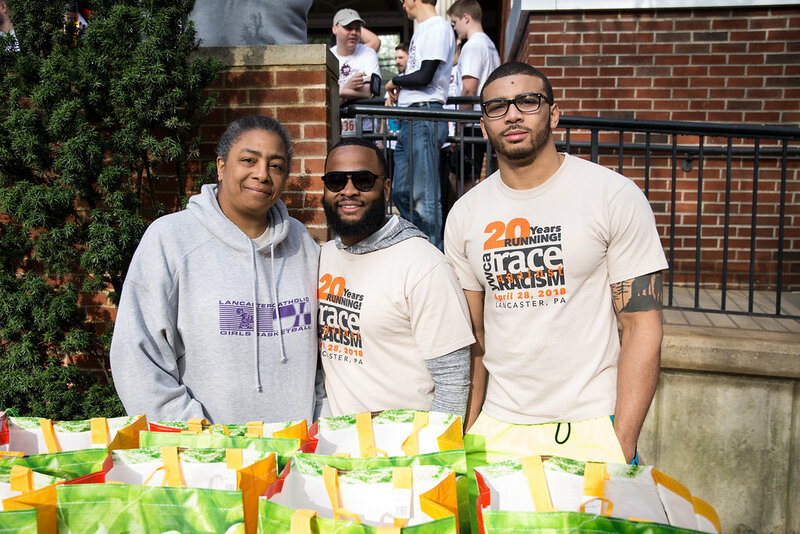 In 2018, the Race Against Racism and Humanity Fest raised more than $75,000 for initiatives to eliminate racism! The certified 5 kilometer/3.1 mile course is a loop through historic Lancaster, with timing clocks at the one- and two-mile marks. In 2017, the course was slightly tweaked to alleviate runner congestion on the curve from Lehigh Avenue to Marshall Street. Strollers are permitted. However, for the safety of all participants, no bikes, scooters, in-line skates, or animals (except medical service animals) are permitted on the race course. Every year, Lancaster’s amazing Fire and Police departments go head to head in a friendly Public Safety Challenge. 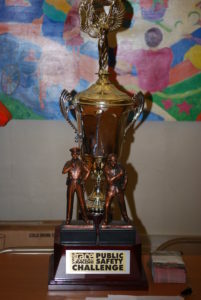 See who gets the coveted trophy this year! The Awards Ceremony is held in Musser Park on Race Day at the Lancaster Art Museum’s portico. The Awards Ceremony begins as soon as all results are tallied, around 10:30 a.m. Please make every effort to stay for the ceremony, however if you are not there to claim your prize, you may pick it up from YWCA Lancaster the week following the race. The 2019 Lancaster 5K Race Against Racism will be timed by Lin-Mark Sports utilizing the disposable B-Tag chip from ChronoTrack Systems, the world’s most advanced timing system. All participants will receive their assigned B-Tag affixed to their race number where it remains for the entire race. No shoe tags needed. During Race Week, participants as well as their family and friends can sign up for Athlete Race Tracking through Chronotrack Live to track their athlete(s) during the race. Finishers will have the results texted to their mobile device within minutes after finishing. Race results will be posted at the race, on this website and on our registration site as quickly as possible after the race is over.